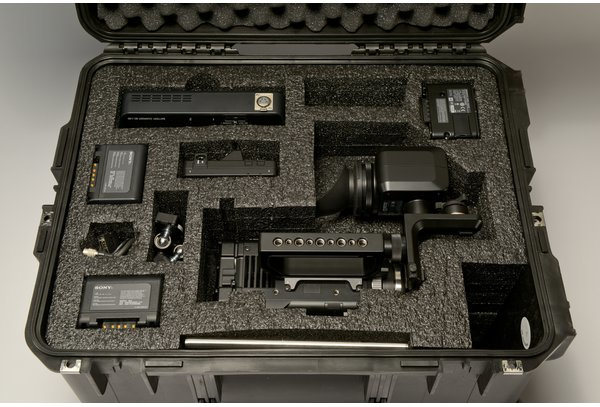 Hard case for F5 & F55 cameras and accessories. 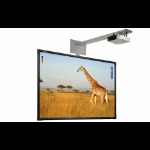 The LC-F55CZ is built ATA tough for both shipping and transit, this new case offers full protection from careless handlers. The new LC-F55CZ features an integrated telescoping handle, fully recessed into the body of the case, as well as high density wheels a gasket seal, locking hasp and custom pre-cut foam for complete protection. 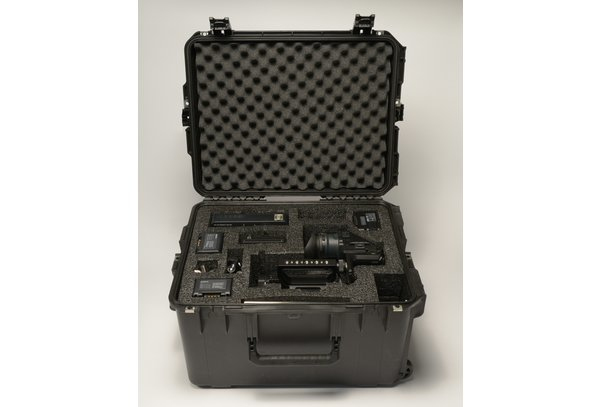 The case also includes pre-cut cavities for the PMWF55 or F5 camera with DVF-EL100 or DVF-L350 and VCT-FSA5 attached plus two BP-FL75 batteries, AXS-R5 RAW recorder, DVF-L700 LCD VF, BPL90 Sony dual charger.